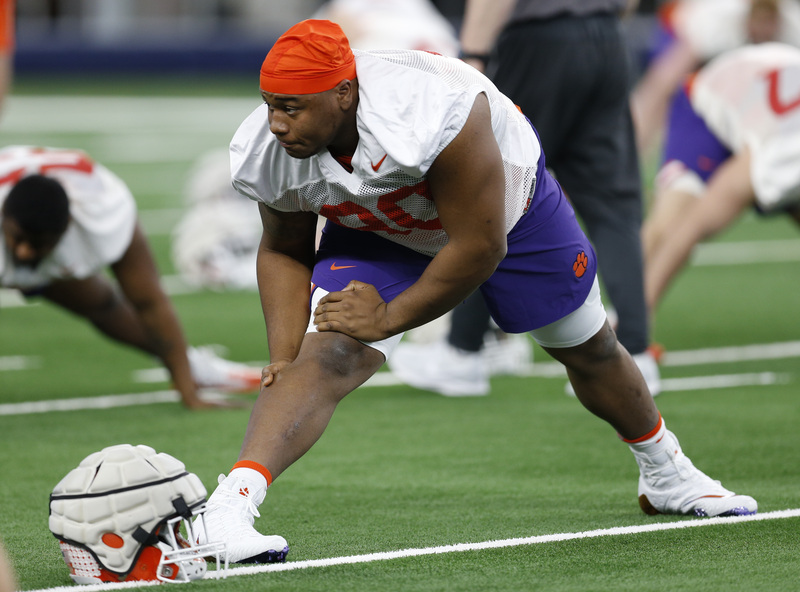 Three Clemson players, including starting defensive tackle Dexter Lawrence, will remain suspended for the College Football Playoff national championship game after supplemental samples of a failed drug test returned positive results for a banned muscle-growth supplement. Lawrence, a junior, and reserves Zach Giella and Braden Galloway sat out the Cotton Bowl while those additional tests, used to weed out false positive results, were pending. The No. 2 Tigers trounced No. 3 Notre Dame, 30-3, and will play top-ranked Alabama on Jan. 7, for the national title. Clemson Athletic Director Dan Radakovich said Thursday the NCAA upheld the players' suspensions, but will allow the players to travel with the rest of the team to Santa Clara, Calif., for the national championship game. Those bans could last up to a year, but Lawrence will likely enter the NFL draft. He is widely projected to be a first-round pick. Lawrence told reporters Thursday he did not know how the banned substance, ostarine, entered his body and said he’d never taken performance-enhancing drugs. Tigers Coach Dabo Swinney said the team was investigating how ostarine came in contact with the three players. The substance is not approved by the FDA, but has reportedly been included in health supplements without being listed on the label. Swinney also said the team is also looking into other sources, including the team’s saltwater float pool. “This particular substance can come from anything,” Swinney said last week when the initial test results came out (via ESPN). “And these three players have no clue — in fact, they thought it was a joke when I called them. They have no clue how this has gotten in their system. Justyn Ross is from Alabama and plays for Clemson. Now that’s fighting the Tide. Jacob Bogage writes about sports for The Post, where he has worked since 2015. He previously covered the automotive and manufacturing industries for the Business section.